At the 2012 Auto Expo in India, the Ashok-Leyland company has unveiled Partner light truck, which is the rebaged copy of Japan Nissan Cabstar. The Partner comes powered by a ZD30 DDTi common rail diesel engine that is BS-IV compliant. The engine makes 120 bhp of power and 32.4 kgm of torque. 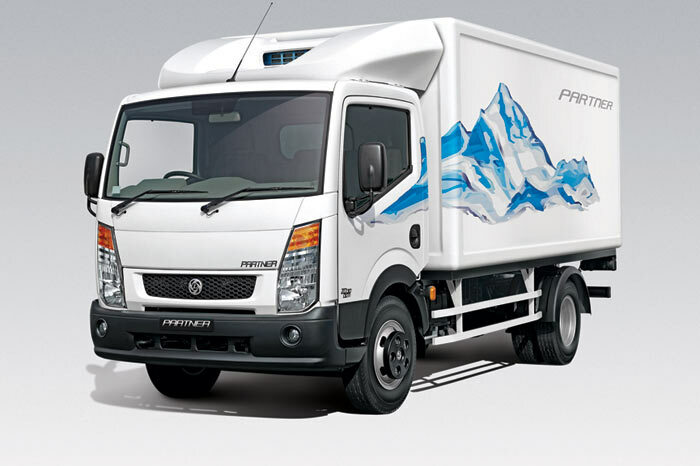 It has a Gross Vehicle Weight of 6-tonne, multiple load body options, power steering and air-conditioning as standard. Ashok Leyland has ambitious plans with the Partner. It proposes the release of a range of applications like tippers, containers and refrigerators.